As an energy worker, you have several unique questions to look at when protecting your business. These three questions will help you evaluate and ensure that your energy work practice flows well and is protected. Self-care is essential for the practitioner and the client. What type of self-care are you doing to insure you are balanced and ready for the energy to flow to your client? Before you start your treatment with any client, here are some quick self-care tips. Feed your body. Make sure your body has the water and nourishment it needs prior to your client’s arrival. Be physically comfortable. Don't let clothes, hair, jewelry, etc. restrain you. Shut off your phone during the session. Completely off! No vibrate, no flashes. Keep it out of the treatment room. Be “in the now” when your client arrives. This is your client’s time, so make sure to be present for them. Do you have a safe environment for your clients? A steady, comfortable temperature by a set thermostat. Consistent lighting. Keep shades pulled down (for privacy) with soft room lighting. Relaxing, uninterrupted music. Use ad-free music resources to maintain a flow of music. Before their service begins, offer your client blankets, water or a bathroom visit, and make those options available anytime during the session. Always communicate in response to their needs without hesitation in your safe environment. All businesses face unexpected events from time to time, and energy work is no exception. As energy work has grown in popularity, the number of incidents during treatments has also increased. It is important as a professional to have the peace of mind that when these unexpected accidents occur, you are covered with liability insurance so you can continue to perform your calling. Will this cover my actual trade? Reiki, EFT, feng shui and meditation, just to name a few, are not standard services covered on traditional business policies. Does the insurance provider really know my industry? 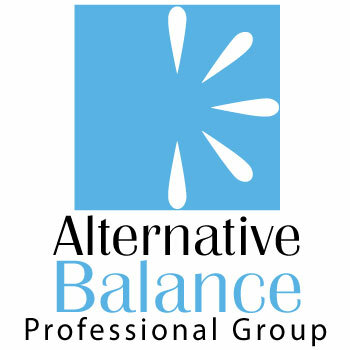 Look for a trade group, such as Alternative Balance, which has focused on these types of services for over 20 years. Are there limits, such as class size or restrictions if I travel outside the U.S.? Being a energy worker is a blessing to the world that should be honored and protected. With these simple questions and tips, you can be on your way to peace of mind that helps a practice grow. Did you find these tips helpful? Have more tips to share? Join our community below and comment today!